[Updated from 7/28/17] Well, now we know that when Walker says "Wisconn," it's more than a talking point, as intends to overturn swaths of state law for Foxconn on top while handing over boatloads of taxpayer cash and borrowing. Walker is introducing legislation ending for Foxconn adherence to basic DNR environmental water, wetlands and land use rules, along with PSC rules and policies, and also a dedicated quarter-billion dollars dedicated borrowing so WisDOT hurries to finish I-94 expansion from Milwaukee across Foxconnland to the Illinois state line, the Wisconsin State Journal reports. The bill also exempts public utility projects for the Foxconn campus from getting approval from the state Public Service Commission before building or relocating transmission lines, and changes rules for tax-increment financing districts. Furthermore, the Walker bill would guarantee that any business considering a Wisconsin project will ask for Foxconn subsidies, Foxconn DNR exemptions, Foxconn PSC privileges and Foxconn road-building priorities. I apologize for earlier noting that the already shorthanded DNR would have trouble handling environmental reviews for various Foxconn activities, because there won't be any. I also apologize for thinking that "Wisconn" was just a talking point and '18 election frame, because Walker intends to convert Wisconsin to Wisconn, a corporate state, without a new constitutional convention. I apologize for understating the expansion of corporate control of Wisconsin and its environment, but this was months before we had bheard of Foxconn and Wisconn. This is a horrible precedent. 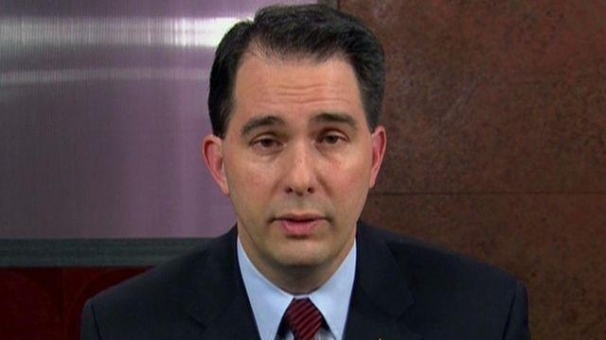 Walker adopts his own Chinese environmental like policies for Wisconsin and the Great Lakes? What do you expect from a horrible person? So won't this open up an immense amount of litigation which will turn this into a boondoggle similar to the GT mine? As a famous movie character once said, "stupid is as stupid does". enter the nee US Supreme Court. I'm not optimistic. Also worth noting, Wisconsin AG/GOP hack Brad Schimel was tweeting out stuff yesterday about how great this Fox-con is, so don't expect to get any fair looks at environmental violations from that crook. Time to acknowledge the rights of nature to exist, persist and flourish. We have formed the Great Lakes Rights of Nature Coalition which will lead to legal structures being enacted all around the great lakes that will remove the power of corporations to destroy them and give the lakes and their ecosystems standing in courts of law.